1- Area where LT’s usually hide have been moved to the center. 2- Terrain has been changed and some vegetation was removed. 3- House blocks are now prominent. 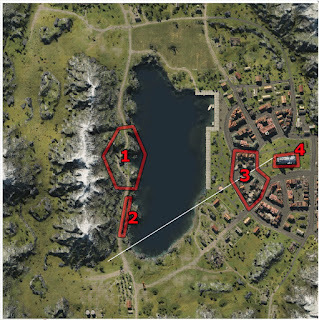 Most of these changes are being made most likely incentive players to stop lemming on the 1-2 line and to make the life of those who tend to camp near south base and mid more difficult although those who spawn on south are still able to shoot D8-9 road from middle. 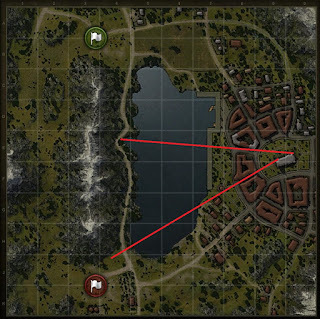 Those who spawn north have lost the D8 (3 illuminated area) dented corner which provides some protection between reloads and capping.